March 24, 2017 April 13, 2019 - The 'Noms. Perfect for celebrating the spring Cherry Blossom festival, this spring sake and gin cocktail is sure to please! Living in a state that definitely has a winter season, we always are looking forward to the arrival of spring, the warm days letting us get back outside and enjoy the sunny days. 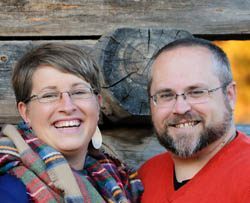 Here in Omaha, spring seems to be making an early return, with warm sunny days helping get the spring flowers started. Just down the street, a cherry tree has blossomed and is covered in beautiful pink flowers which adds a real splash of color to an otherwise gray landscape. That simple splash of color inspired us to make this, the Cherry Blossom, a Sake and gin cocktail, which is also a grenadine cocktail. The original celebration of spring might be the famous cherry blossom festival of Japan, when the cherry trees start blossoming all over the islands and the Japanese come out to to take part in hanami (flower-viewing). A celebrated ritual of spring, hanami is basically a giant public celebration with big picnics and music filling the parks and public spaces around the flowering trees. These parties can last all day, and keep on going late into the night under light from traditional lanterns hung from the trees! The blossoming of the cherry trees marks another important time in Japan, the time for rice planting! Rice is an important crop in Japan, featured prominently in the cuisine and more interestingly for cocktail bloggers like us, in their spirits! One of the most famous Japanese spirits is Sake, a spirit made by fermenting polished rice to create a stout rice wine that is uniquely Japanese. What flavors did We Use in This Cherry Blossom? We figured that a cocktail celebrating the cherry blossom wouldn’t be complete with out a little Japanese influence, so we decided to use sake as the base to our cocktail. The sake we chose is a Junmai, which is a sake made purely from rice, water, yeast, and koji (a fungus that helps break down the rice and imparts the unique flavors to the sake. The sake has a smooth slightly sweet flavor, with hints of floral and fruit while still remaining crisp, which worked really well when paired up with a tart cherry. 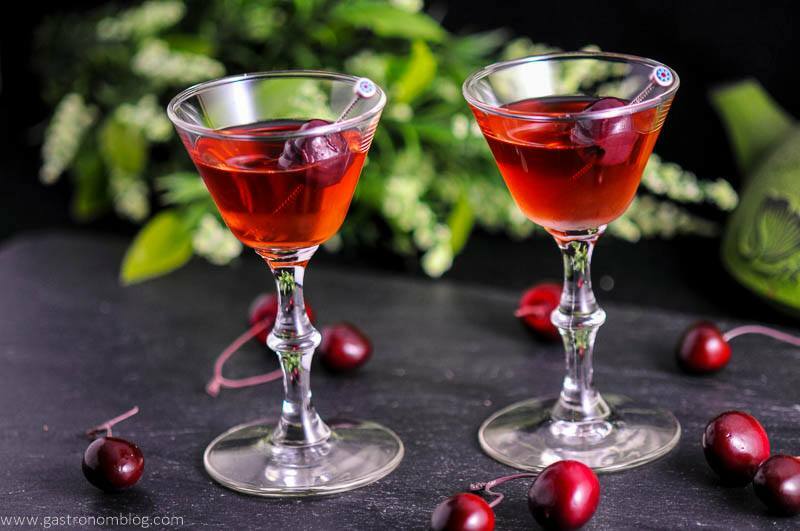 For the cherry flavor, we went with a tart cherry liqueur which brings a bright fresh cherry and a beautiful deep red color to the cocktail. 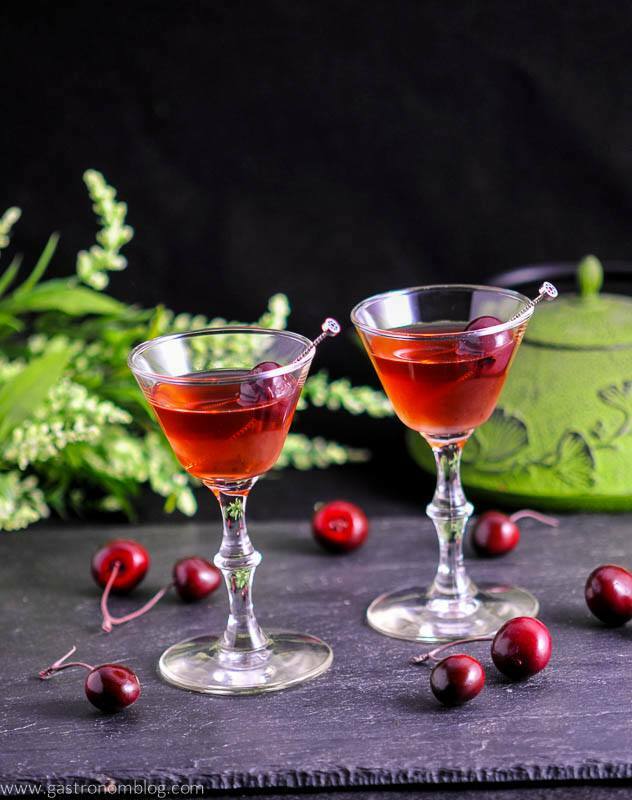 We used a Tart Cherry liqueur from Dancing Pine’s Distillery in Colorado, but you could use Cherry Heering to bring the cherry flavor. 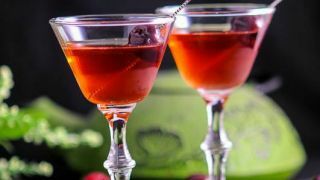 A dash of fresh grenadine (use the real stuff like Liber & Co’s Grenadine and not the sickly sweet red stuff found in those sugary cherries!) helps add a depth to the cherry flavor. Yes! If you use real pomegranate juice! You can also use blackcurrant juice but it is darker and tarter then. Is There Cherry In Grenadine? No. 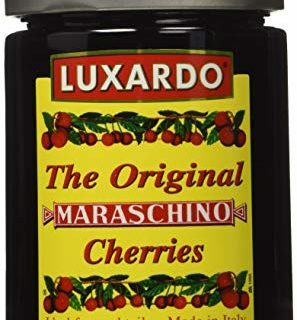 It actually shouldn’t taste like cherries. It should be a sweet/tart syrup more like pomegranate. Since we were celebrating a flower, we wanted to add a little more floral flavor to the cocktail, so we added a splash of Hendrick’s Gin, which has a nice floral quality to it. 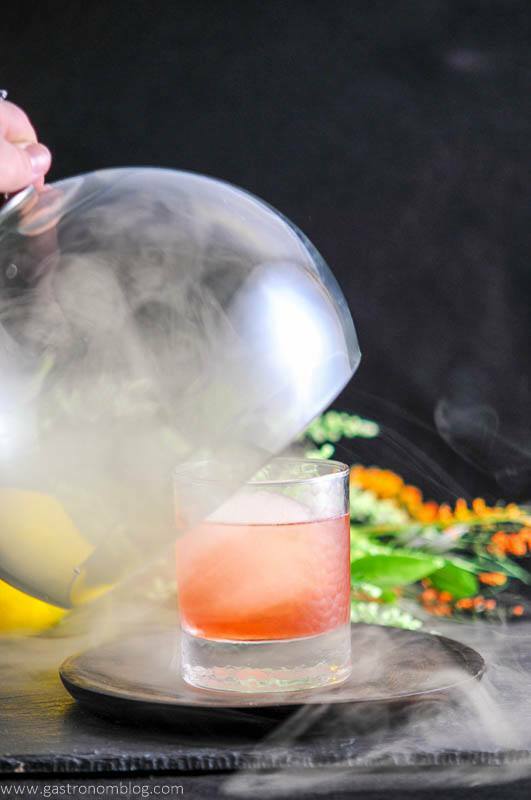 The Hendrick’s also helps balance the cocktail by drying the flavor out and countering the tartness of the cherry and sake. 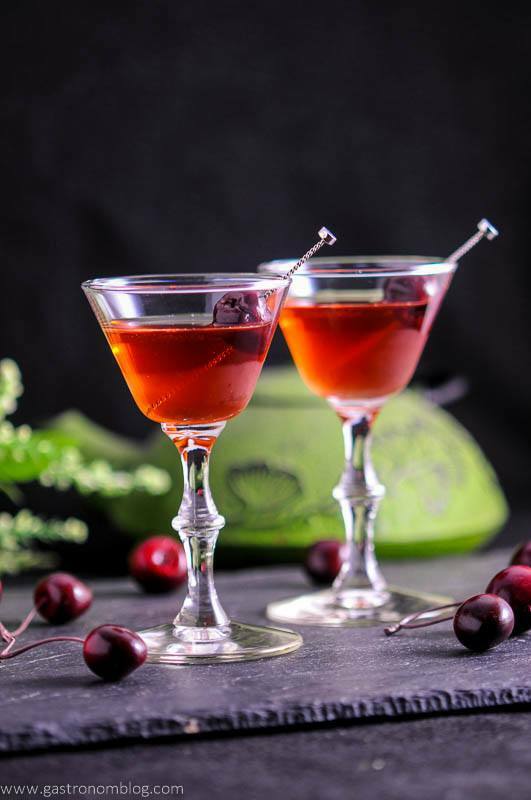 A splash of orange liqueur added a hint of sweetness and citrus brightness that helped bring out the tartness of the cherry. A final squeeze of fresh lemon pulls the cocktail into balance while adding a real fresh quality to the finish. 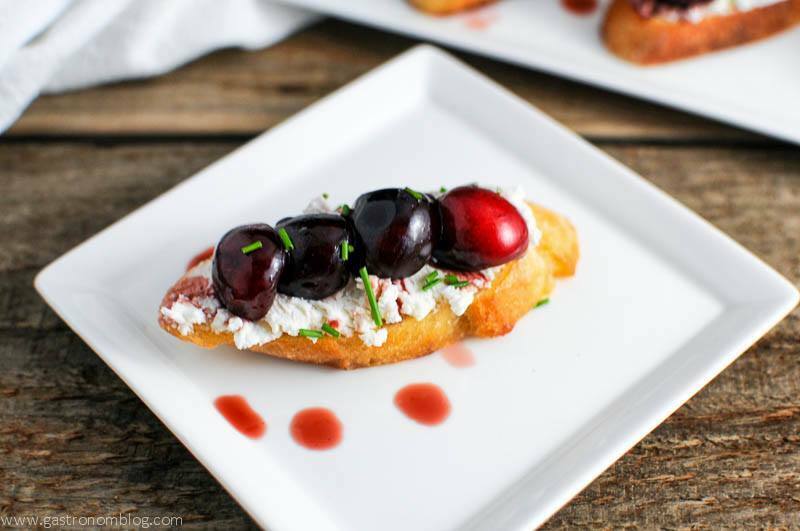 We garnished with one of our brandied cherries to add a nice treat! 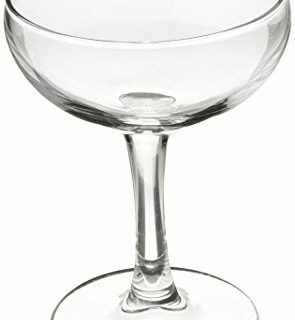 What Ingredients are Needed for the Cherry Blossom Cocktail? 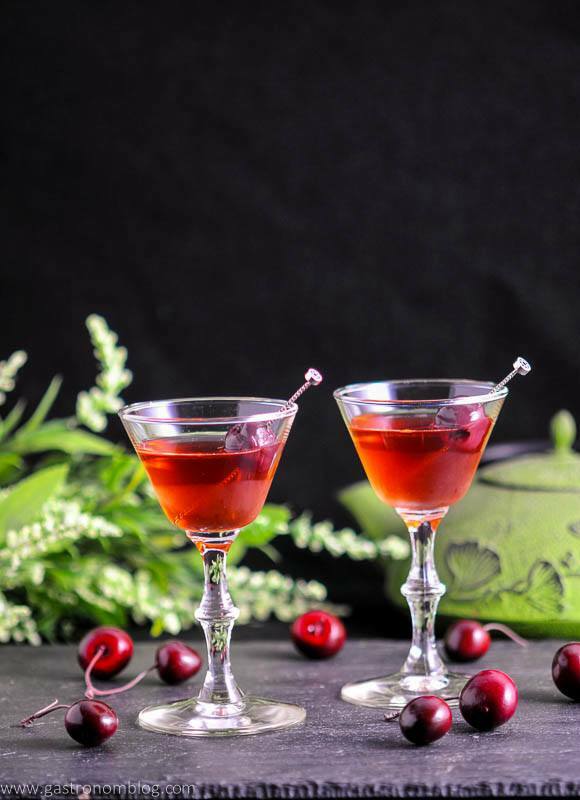 The Cherry Blossom is a nice crisp cocktail perfect for sipping on a nice spring day! Hints of tart and sweet with a nice floral finish, the Cherry Blossom is one pretty little drink! Note: this cocktail is pretty boozy as there really is not much mixer to dilute it, so this recipe makes 2 cocktails! 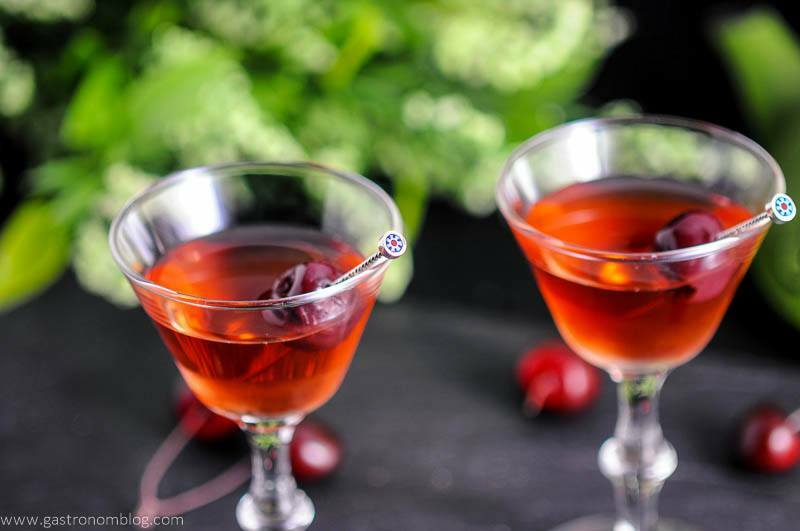 The perfect spring cocktail, light and flavorful with cherry, sake and gin. Add the ingredients to a mixing glass. 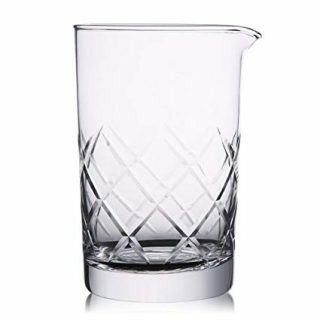 Add ice to the mixing glass. 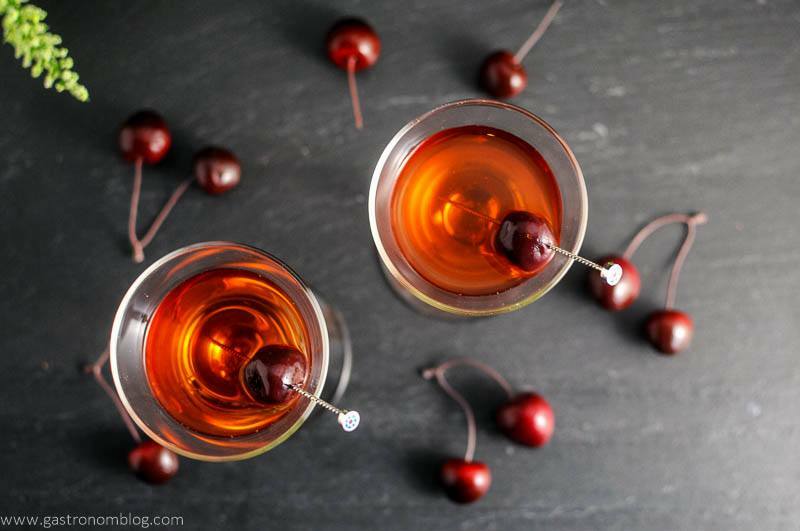 Garnish with a brandied cherries. PIN THIS CHERRY BLOSSOM COCKTAIL RECIPE FOR LATER! Love the name! I’ve never had sake and gin. Sounds great! We hadn’t had the combo either, and it turned out great! Cheers! I bet this is so good with the cherry liquer! This drink screams springtime- well done! Love the inspiration for this cocktail. We live within an easy drive of DC and I’d love to do the cherry blossom festival some day. Thanks! I would love to do the festival, too! Love the name for this cocktail! It sounds delicious. 🙂 It’s neat that it’s inspired by cherry blossoms. Thank you so much! We just wanted something saying “spring”. Oh yummy yum yum!! These look amazing I think this may be my nightcap tonight! Haha, hope you try it out! Cheers! Happy Spring, for sure! This is such a pretty cocktail (love your stir sticks, too! ), and the cherry flavors are wonderful! Thanks so much! Jay made those picks himself! Cheers to you! Agreed! That would be the trip of a lifetime either way, it would be such a beautiful thing to see! This is SO gorgeous – a perfect way to kick off spring! This cherry blossom cocktail sounds divine! The combination of sake with gin and cherries is brilliant. Your cocktails are always inspirational and yummy. Thanks! Love your stir sticks too…may have to wait until I can get fresh ? Lovely cocktail! 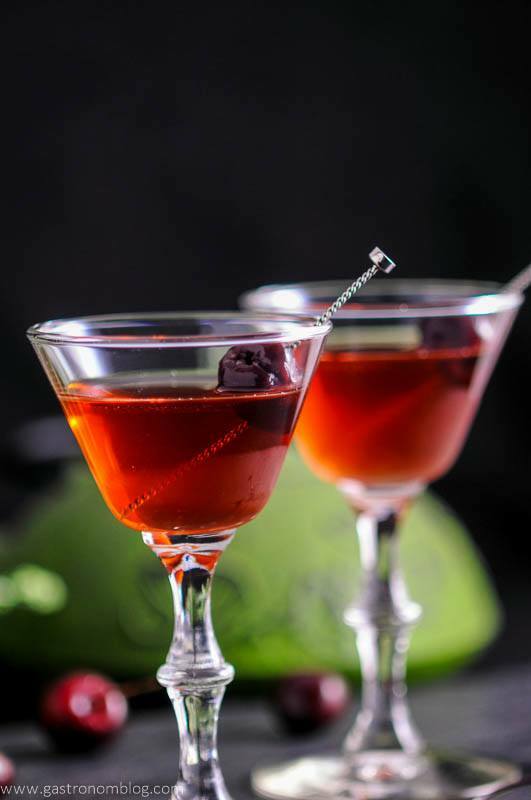 That tart cherry liqueur sound divine! Yet another fabulous cocktail! Perfect for the spring and cherry blossom season. Not that I need a reason to “cocktail”, but this flowering season definitely sounds like the perfect time for The Cherry Blossom. I’ve never been much for sake, but this has so many other things going on, I can only imagine how evocative it must be. Beautifully photographed as well. I’ve been playing with gin in my cocktails a lot more lately, and it’s quite interesting to me to see how well it works with other spirits. I haven’t tried gin and sake yet, but you can bet I want to now! And I have to say, I love that you specify working with good cherry liqueur and good grenadine. It breaks my heart when I see a nicely crafted cocktail finished off with the syrupy generic stuff! This looks fantastic for welcoming spring! I agree about working with a good quality liqueur. I finally have found a neighborhood shop that carries high-quality liqueurs and is more than happy to talk with me about different brands, etc. – heaven! Now I feel I can do more cocktails like this justice! Thanks so much! Better quality ingredients are definitely the way to go! Cheers to you, and enjoy!